If the Derby is the most exciting two minutes in horse-racing, this has to qualify as the most exciting two minutes on election day. No line. No issues with the touchscreen. And the rain held off during the walk, allowing me to keep my umbrella tightly furled. If you’ve got a horse in this race, now’s the time… . 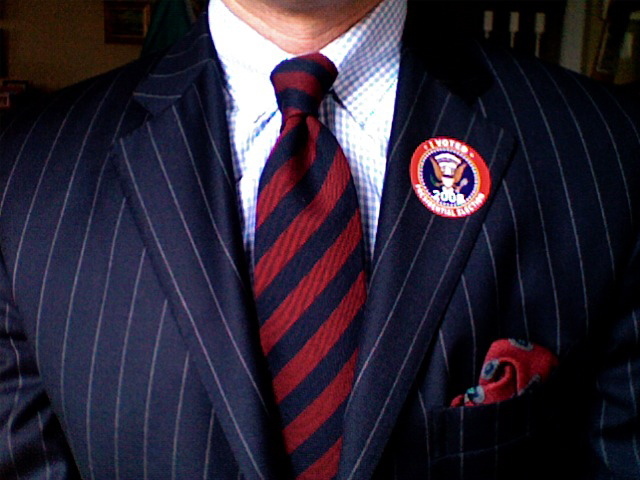 This entry was posted in Elegantology and tagged election day 2008. Bookmark the permalink.